The Holy Order of Saint Stephen, First Martyr, founded anno Domini 2016, is an order of communicants in Jesus Christ’s holy catholic Church, dedicated to the service and spiritual revival of the Church, particularly in the community where each chapter is located. The Order’s prophetic work is to promote the learning of the Scriptures among all believers at Princeton and elsewhere, and to preach the holy gospel of Jesus Christ and urge its propagation in all nations; its priestly work, to carry on and lead others in the daily offices of Morning and Evening Prayer, as well as the Litany and more occasional prayer, for the life of the world; its kingly work, to perform corporal acts of mercy, especially for the poor,	and manifest Christ’s public mastery of the mind and body, both of persons and of the commonwealth. 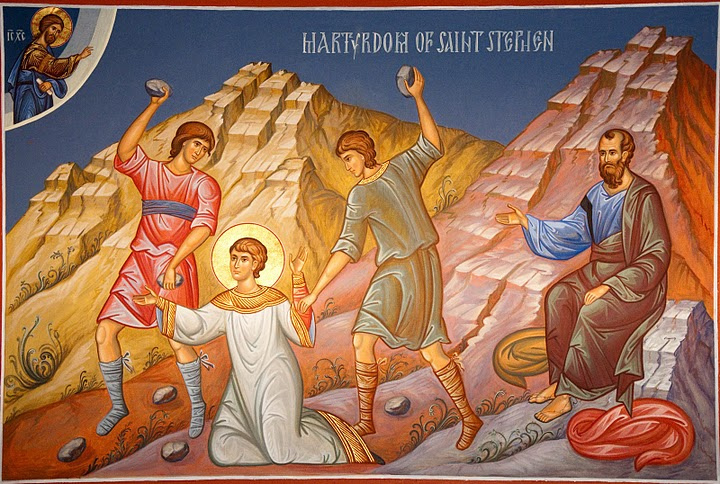 Grant, O Lord, that, in all our sufferings here upon earth for the testimony of thy truth, we may stedfastly look up to heaven, and by faith behold the glory that shall be revealed; and, being filled with the Holy Ghost, may learn to love and bless our persecutors by the example of thy first Martyr Saint Stephen, who prayed for his murderers to thee, O blessed Jesus, who standest at the right hand of God to succour all those that suffer for thee, our only Mediator and Advocate. Amen.